After Georgette strengthened into the fourth hurricane so far this season in the eastern Pacific, it rapidly intensified into a category 4 hurricane. 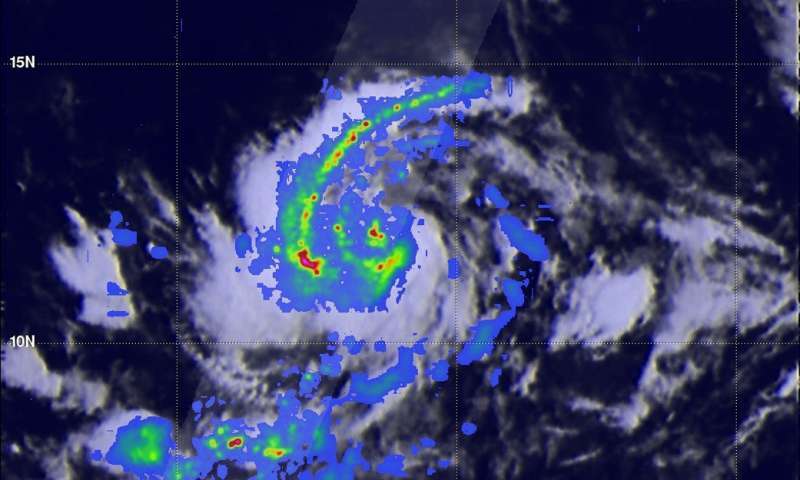 Georgette is currently 1,145 miles west-southwest of the southern tip of Baja California. Georgette will maintain its strength and may slightly intensify further before beginning to weaken Monday. Expect no impacts to any land masses as the storm stays out to sea and should fully dissipate by the middle part of next week. The eastern Pacific Ocean continues to show that its environment is favorable for the birth of tropical cyclones. Tropical Depression 8-E developed early on July 22 hours later strengthened into Tropical Storm Georgette. Georgette quickly follows Tropical Storm Frank as the latest example of tropical cyclogenesis in the eastern Pacific Ocean.